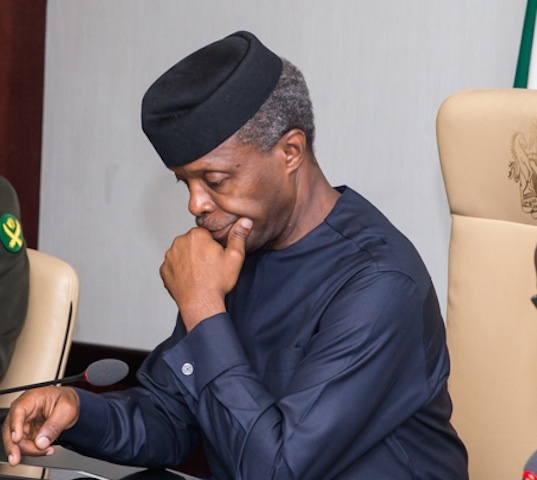 Vice President Yemi Osinbajo has said that religious leaders and politicians are always in the way of executing judgement on corrupt government officials. He said whenever he decides to sack a government official who has been discovered to be corrupt, he gets calls from religious and political leaders urging him not to. Osinbajo made the statement while speaking at the 24th Nigerian Economic Summit plenary on corruption and rule of law in Abuja, where he sat in a keynote chat moderated by Oxford professor Ngaire Woods. The Vice President shared that the Nigerian elite are sometimes the reason why corrupt government remain in public positions.